St. Louis, MO — St. Louis County Police have made headlines for highly questionable conduct on the job, as newly obtained public records reveal officers slacking en masse for cell phone time, sleeping on the clock, failing to perform required duties — including basic patrolling — and even taping over a security camera, in regular apparent attempts to conceal all of the aforementioned … if not more. Documents, video, and other materials obtained by the St. Louis Post-Dispatch catalogue a number of similar incidents in which police tasked with patrolling Metro stations and protecting commuters instead slacked off en masse behind closed doors — and, at least once, away from the camera’s watchful eye — even refusing to cooperate with transit officers. “For the past several months,” the Post-Dispatch reports, “Metro officers have been unable to enforce laws, even for skipping fares, on the transit lines in the county, under legal threat from both county Police Chief Jon Belmar and St. Louis County Prosecutor Bob McCulloch. Those county officials allege that the Metro officers — all of whom have Class A peace officer licenses through the state of Missouri — lack the proper legal authority to enforce the law. As the Post-Dispatch points out, St. Louis County Executive Steve Stenger had only recently doubled the number of officers assigned to patrol Metro transit stations to quash an upswell in violence; but publicly available records show socializing and sleeping — rather than public safety — tops police officers’ priorities lists. “I don’t see how any of this is serving the public interest or public safety,” Metro Department of Public Safety Chief Richard Zott told the news outlet after learning it had obtained the damning records. While this appears superficially an issue correctable through disciplinary actions against the culpable officers, the broader topic of enforcing the law in St. Louis’ busy transit stations — a bureaucratic, jurisdictional conundrum held stagnant with red tape — has pitted St. Louis County Police against Metro officers, as officials parse out which police can legally police. St. Louis County Police Chief Jon Belmar and St. Louis County Prosecutor Bob McCulloch contend the State of Missouri Class A peace officer licenses possessed by every Metro officer do not grant proper authority to enforce the law. Indeed, Metro officers haven’t enforced any laws for months now — having been rendered impotent of that power for the duration of the bureaucratic fracas — which led to the doubling of county police in transit hubs. And now, as the Post-Dispatch evidences plainly, too many cops policing even less enthusiastically than before the issue became one in the first place. Under a memorandum of understanding signed by political officials in response to shootings and other violent criminal activity rampant on the area’s light rail platforms, St. Louis County oversees all officers working the transit system — sort of. “We have no idea what they do or where they go,” Zott, Metro public safety chief, of the county police who ostensibly should be supervising the Metro peace officers under his control. In the incident from July 4, logs indicate between five and 12 officers sporadically mulling about in the North Hanley security office between 5:52 p.m. and 9:48 p.m., followed by an officer taping the envelope over the camera at 11:11 p.m. — with the covering remaining in place slightly longer than one hour. Similar activities — including the approximate hour around midnight where an officer taped paper over the security camera — repeated the following night, according to records reviewed by the Post-Dispatch. 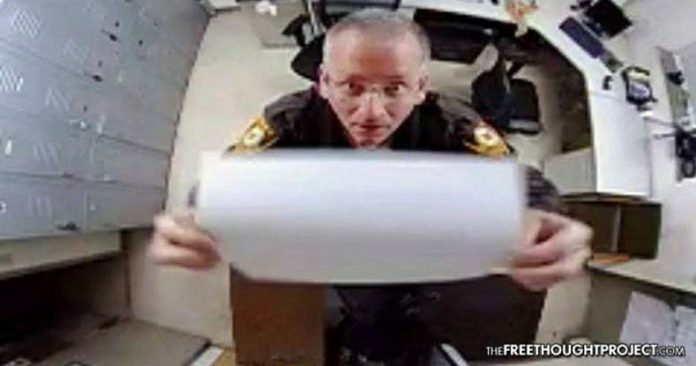 Zott first viewed officer misbehavior on video in December 2015, when an information technology employee of Metro reported to supervisors a county police officer napping on the job in the Hanley office — and further investigation revealed the pesky camera had been purposefully covered at the time. He never received a response. But that isn’t even the worst of the embarrassingly errant conduct — particularly given this interdepartmental grudge match takes place as a backdrop to the spike in violent crime around the St. Louis Metro transit system. In fact, the same evening last month two armed assailants robbed and beat a 14-year-old boy, one keen public safety officer noticed all county officers absent from the platform they should have been patrolling. Upon cursory investigation, the Metro officer found his county counterparts — not patrolling the platform or responding to an incident — but lounging inside Hanley’s notorious security office, up to five St. Louis County officers at one time, “feet kicked up on a desk,” “texting or using their phone apps,” and not at all “engaged in any police duties,” a second Metro officer wrote to Zott the following day.